Fondant icing is a versatile decorating element which can take practice to use effectively. It does not have the texture of most icings; rolled fondant is similar to stiff clay, while poured fondant is a thick liquid. It can be unforgiving for beginner cake decorators, but many of the common problems encountered when using rolled fondant can be repaired easily if you know how to do so. If your fondant layer is thin, it can show existing imperfections on the surface of the cake such as lumps in the icing or uneven layers. This issue has to be fixed before you drape the cake with fondant. 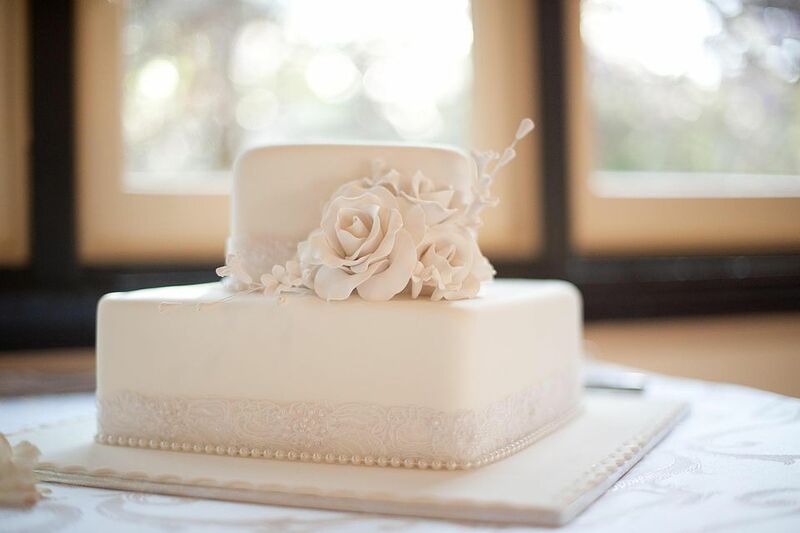 You must make sure your cake is very smooth with no holes, protruding edges, or creases. Fondant can be smooth and perfect and then with no warning suddenly develop an unsightly bulge. This can be a result of trapped air between the cake and fondant or fondant that is not adhering properly to the surface of the cake. There are a couple of ways to fix this issue depending on how freshly iced the cake is and what tools are available. Like wallpaper bubbles, fondant bulges due to trapped air can be deflated if the cake is freshly iced. You can pick the fondant over the bulge and press gently to flatten. If the bulge is near the bottom of the cake, you can use an offset spatula to lift the fondant away from the bottom, wet the cake with water, and smooth. If the fondant has hardened before you can fix the bulge, the only viable method of fixing it is to camouflage the area with decoration. Fondant that is rolled too thin or too thick can cause issues such as tearing and cracking. If the fondant is too damaged to repair, it is best to take it off and use a new piece. The damaged fondant often has bits of icing and cake in it so reusing it can cause further issues. Don't reuse it. Tears and cracks can be repaired by filling them in with a fresh piece of fondant. Smooth edges with your fingertips coated in shortening. Cracks can also be smoothed out with an icing smoother or your fingertips. Do not wet your fingers with water, as this will cause the fondant to melt and tear further. If the area is still unsightly, you can always pipe on the spot or place a design element over the flaw. A cover-up may be the best solution. This can happen when your fondant-covered cake is stored in the fridge. Try storing your finished cake in cardboard boxes big enough to totally encase the cake on all sides and the top. If the cake has visible sweat marks, you can apply a little icing sugar on the damp spots with a clean paintbrush. If you have the time, let your cake sit out, and the sweating areas will dry again.